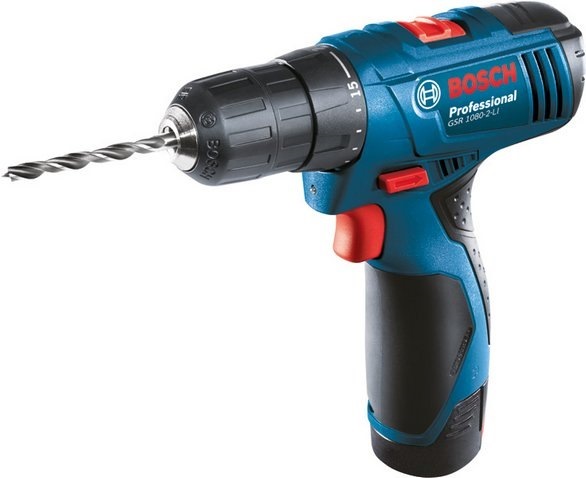 BOSCH 10.8V 1.5AH LI-ION DRIVER DRILL, GSR1080-2-LI is rated 4.0 out of 5 by 1. Rated 4 out of 5 by diyffdan from Good option for personal home projects Bought this a month ago for common DIY personal home 'flatpack' furniture assembly projects.This version comes with 2 lithium batteries without any driver bits. Feels solid. Came charged. The version I have was Made in Malaysia. Good quality overall. My first personal cordless driver! 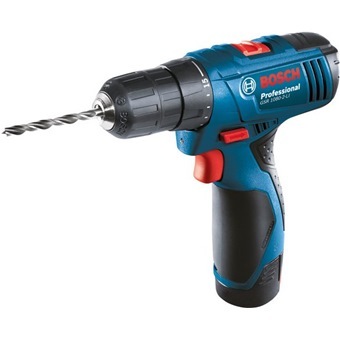 I've helped out family projects and found cordless drivers recommended to me and found it often very useful. A good cordless driver should save you time and last you for awhile. I paired the purchase with the 27-piece DEWALT driver/drill bit set, which comes in a nice plastic hard case. The BOSCH driver bit set was out of stock so the DEWALT one was a pretty high quality starter option anyway. Good combination. Well made. In the past week, I've assembled a flat packed bookcase. I've even hacked together a table top desk from a discontinued door panel as a table top. For the table hack, I made my own pilot holes. The power driver was essential. The table assembly this time was much easier compared to my earlier efforts without a powered driver. All the screws went all the way in, as they were supposed to. I find table leg assemblies for flat pack furniture sometimes require more strength if you are using just a screwdriver. In earlier projects, I ended up partially stripping the heads for 2 to 3 screws along the way. Some screws just wouldn't go all the way in either. This didn't happen this time. As I also had an existing table and leg system to disassemble, I used the cordless driver. Trying to screw and unscrew table legs onto table tops - so so much easier. With a screw driver, there'd be lots of sweat and the screws might not go all the way in all the time. With the BOSCH the screws went perfectly in, without stripping any threads or tops. Seconds instead of minutes. Note: For most cases, the lowest clutch settings were sufficient. But for table leg screws, a higher clutch was used.